Having non-liquid assets when you’re really in need of cash is incredibly frustrating. When you know you have a Lotus Elise, or a Ferrari California sitting outside that’s worth ten times the small sum of money you need, it seems silly to not be able to pull the fast cash out of it. Here at Phoenix Title Loans, we are here to provide this service. You can take the equity straight out of your exotic car with an Exotic Car Title Loan, and have the fast cash you need in a mere matter of minutes. When we think of a car title loan, we typically don’t think an exotic car is something that you’d get a car title loan or an auto title loan against. But why should it be any different? The paperwork is the same, the process is the same, the only difference is the very large difference in fast, liquid cash you receive for the loan. Another very, very valuable difference is that due to the loan value being so much higher than normal, the interest rates can be as much as ten times lower. If you need liquid, fast cash, and you just need it for the short term, then Phoenix Title Loans is your loan lender to visit for an Exotic Car Title Loan. 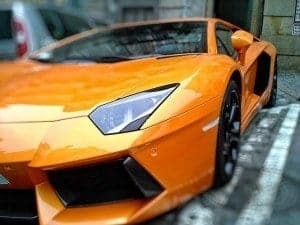 The beautiful thing about getting an Exotic Car Title Loan in Phoenix, Scottsdale, Tempe, or Paradise Valley, is that these are truly unique auto title loans. The uniqueness of these loans is the true high value and the collateral of the loan. Due to the overall nature of auto title loans in general, the collateral isn’t always secure and can be devalued rather quickly over the course of the loan. With an Exotic Car Title Loan, the collateral for the loan is secured, which allows Phoenix Title Loans to make a low-risk loan with astounding terms. On exotic cars, our loans have low charging interest rates you’ll find in the state of Arizona. We’ve done exotic car title loans with extremely low rates in the past which is unheard of in the title loan industry. These loans are, of course, subject to qualification. The other important criteria to think is the high loan to value we can pay on cars like this. We can pay up to 70% of the total value of the exotic car, and secure these funds in mere hours from when the loan is to take place. We’ve been not only owners of these fine vehicles but also exclusive title loan lenders of these high-cost vehicles. With our knowledge and expertise, if you need an appropriate loan on your Ferrari or Lamborghini, there’s only one place you should turn and that’s Phoenix Title Loans, LLC. If you need to secure fast capital, give us a call, or send us an e-mail today. For such a high-value loan, by far the best way to go about this is to either use our live chat right below or to simply fill out our Online Application for a same day response. Bringing your vehicle right down to our stores would normally be the best way to deal with an auto title loan, but due to the unique nature of our Exotic Vehicle Title Loans, contacting us prior is the best way to do it. In most of these situations, we can work out loan terms and deals before even our initial meeting. We’ll be able to give you a relatively accurate quote with just some pictures, and then we can set up a time to truly take a look at the car. Assuming everything is in order with the exotic vehicle, we’ll ensure to have the funds secured and ready to transfer at our appointment time. From this point, all we need to do is collect a few signatures from you with our notary on site, and we can initiate the transfer of funds immediately. Phoenix Title Loans has been offering Car Title Loans and Auto Title Loans for over a decade in all capacities. We strive to serve our customers, and will always do everything in our power to ensure their needs are met. Proudly serving the areas of Phoenix, Scottsdale, Tempe, Paradise Valley, and Fountain Hills.